General Assessment of Water & Wastewater Operating System, Staff, and Projects. Provide feedback on existing employee technical capabilities, and help supervisory & managerial staff become familiar with the operations of water and wastewater facilities, regulatory requirements and policies. Provide project plan reviews, as needed, to ensure efficient and compliant designs and operations for new construction on water and wastewater utilities, as well as assist with short-term fixes and long-term planning. Provide oversight and assessment for new and ongoing infrastructure projects. Make recommendations on improvements to projects thereby saving money and increasing functionality of the project end result. Training and consultative services on operational problems to operators and staff of the systems. Evaluate the system, projects, trends, and staff to locate problem areas, establish and/or improve standard operation procedures, develop solutions, make recommendations, and implement a corrective action plan. System and/or staff reorganization, as required, as well as assist with short-term fixes and long-term planning. Act as a mentor/trainer for staff involved in operations, and assist in training, provide technical expertise, and mentor supervisor and operators. Assist with personnel transitions into other positions as required. NM-H2O brings a comprehensive perspective to automation and SCADA integration. Having worked with numerous systems and integrators we work to understand how the entire operation functions and then recommend ways that can streamline or improve the operation and/or the control system for the operation. Having built, inspected or operated many types of water and wastewater systems, NM-H2O can provide invaluable project construction and operability reviews of newly designed facilities. These reviews point out construction problems and alternatives, as well as whether the system will operate and function properly as designed. An assessment's primary objective is to determine current operating and mechanical conditions for necessary repairs, replacement or process upgrades or adjustments for keeping facilities in good working condition, which reduces the risk of equipment failures and need for emergency repairs, as well as making sure discharge parameters are met. This was the first MBR facility built in New Mexico, constructed through a Texas contractor and then operated for several years by NM-H2O. Arsenic Removal system and booster pump system near Ramah, NM. 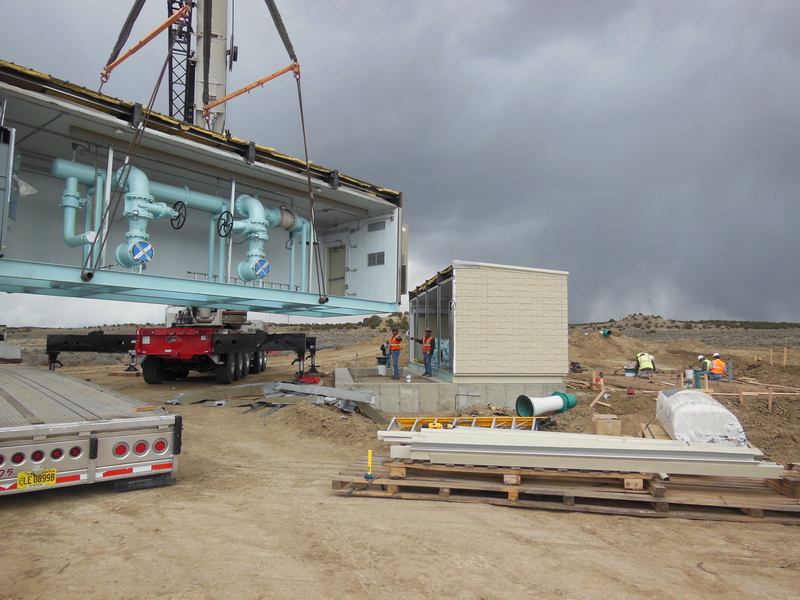 Navajo Nation piping, storage and pump station installation near Nageezi, NM. Total system management at Isleta Pueblo, NM. MBR wastewater treatment facility at San Felipe, NM. Small community system piping and storage upgrade near Chama, NM. Community system piping and storage installation with pipe pulling near Espanola, NM. © Copyright 2016 New Mexico H2O, LLC. All Rights Reserved.